Does Cash from the Sale of the Family Home Count as an Asset on the FAFSA? Cash on hand must be reported as an asset on the FAFSA. We just sold our house and have not yet found our new house and have a lot of cash on hand. We will use the cash to buy a home in the next couple of months. The cash is a false representation of our savings, but since we don't have a mortgage, it looks like we do. We need to keep the cash readily available for a purchase. We are ready to file our FAFSA, but not clear on how we should handle this. We want to be ethical, but not hurt our likelihood of getting aid. What do you suggest we do? — Cheryl P. Cash on hand must be reported as an asset on the Free Application for Federal Student Aid (FAFSA), regardless of the intended purpose. Similar questions are often asked in a variety of circumstances, all involving the family's intentions. Money intended for retirement but which is not saved in a qualified retirement plan account must be reported as an asset on the FAFSA, even if the parents are already retired. Life insurance proceeds must be reported as an asset even if the money is intended to cover living expenses for the rest of the survivor's life. The cash proceeds from the sale of the family home must be reported as asset even if the family intends to use the money to buy a new home. Savings that an undergraduate student intends to use to pay for graduate school or as a down payment on a first home must still be reported as an asset. Sections 480(f) and (g) of the Higher Education Act of 1965 [20 USC 1087vv(f) and (g)], which define the terms "assets" and "net assets", respectively, do not include any exceptions based on the intended purpose of the money. After all, the family may currently intend to use the money for a particular purpose, but nothing stops them from using all or part of the money to pay for another purpose, such as college costs, a family vacation or living expenses. The family might not want to use the money to pay for college, but the philosophy of student financial aid is to provide assistance when the family is unable to pay for college, not just unwilling to pay for college. Congress added an exclusion from assets for the net worth of the family's principal place of residence in the late 1980s because Congress did not want to be perceived as forcing families to sell their homes to pay for college. (Also, the prevailing interest rates on mortgages were unusually high at the time, making home equity loans and lines of credit an impractical source of education financing.) But in this case the family home has already been sold. The family can always appeal to the college's financial aid administrator, asking him or her to exclude the proceeds of the sale of the home from assets. The gist of the argument is that these assets result from a timing issue and that the money does not really reflect the family's ability to pay for college during the award year. The financial aid administrator is more likely to grant an adjustment when the purchase of a new home is imminent. For example, the family should be under contract to purchase a new home with a closing scheduled for no more than a few months from the current date. The money should also be kept in a separate account — perhaps even an escrow account — and not commingled with other funds. 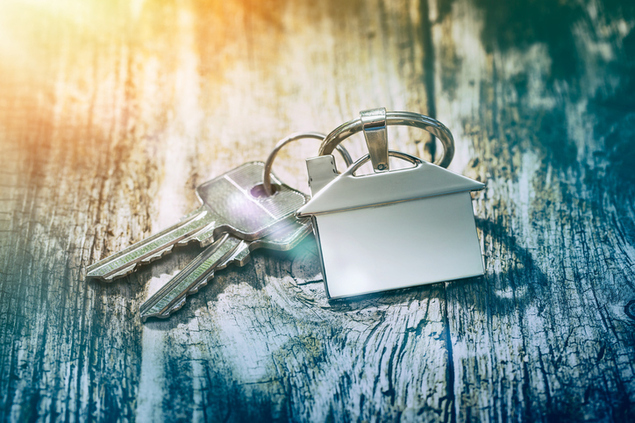 Financial aid administrators are also more likely to grant an adjustment when the sale of the home was involuntary in nature, such as due to foreclosure or relocation. College financial aid administrators may also make an adjustment in unusual situations, such as when the money is from an insurance settlement or government aid to a family whose home was damaged or destroyed by a natural disaster. Likewise, college financial aid administrators may exclude the proceeds of a loan for rebuilding the home. If the college financial aid administrator does not grant an adjustment, the impact on aid eligibility may be relatively small. Need analysis formulas are more heavily weighted toward income than assets. Every $100,000 in cash assets will decrease aid by at most $5,640.